TK4L and FOPT Come Together! 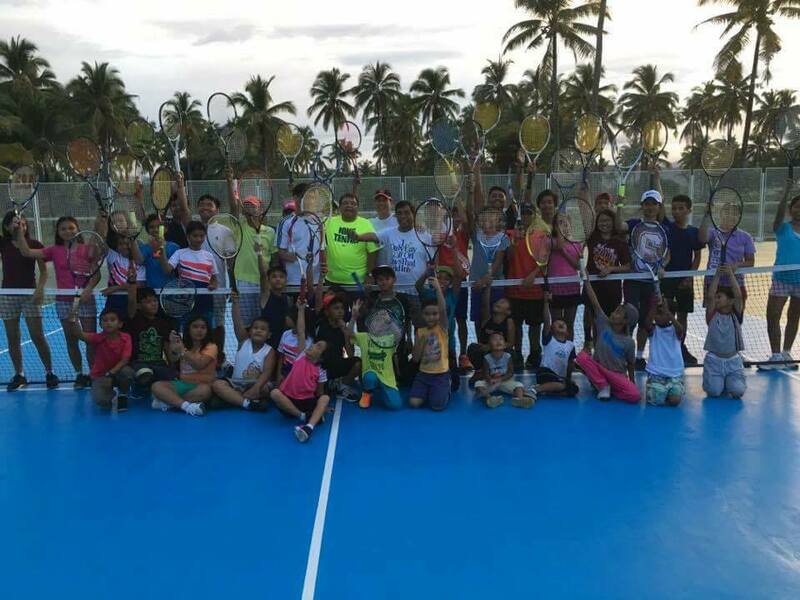 In cooperation with Tennis Kids For Life MTMCA Honorary Member and MTM Level IV Pro/Tester Alex Marcial conducted free tennis clinics through his charity, Friends of Philippine Tennis. Alex promoted MTM concepts in addition to providing donated tennis equipments such as tennis racquets, clothes, and shoes. Alex Marcial Tennis Academy (AMTA) Friends Of Philippine Tennis (FOPT) Philippine Tennis Players Club (PTPC) and the whole TEAM giving you the highlights of the Alex Marcial / Alex Marcial Philippine Tour 2017! First leg of the Alex Marcial / Alex Marcial Philippine Tour 2017 held in Aguinaldo Tennis Club Kawit, Cavite. Your UNTIRING EFFORT sharing the MODERN TENNIS METHODOLOGY (MTM) with these Tennis Coaches and passionate youngsters. Indeed we are all THANKFUL! Bless you all! DAY 2. CERTIFICATION! Alex Marcial / Alex Marcial MODERN TENNIS METHODOLOGY(MTM) Philippine Tour 2017. 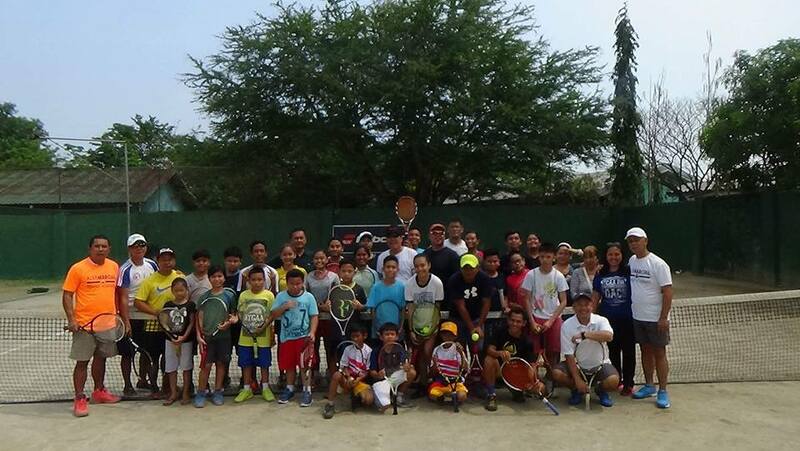 Another SUCCESS for the 1st leg of ALEX MARCIAL TENNIS ACADEMY! (“,) It is indeed VERY INSPIRING and knowing that we were able to GATHER GREAT COACHES from ALL WALKS of LIFE, PASSIONATE YOUNGSTERS, HARD HITTING ELITE TEAM! (“,) We ARE GRATEFUL / BLESSED to have the LIVING LEGEND of TENNIS here in our country. The SUCCEEDING EVENTS for the upcoming month will be FUN FILLED in the VISAYAS, MINDANAO area. Once again HOW TENNIS EVOLVED in the PHILIPPINES… WE OWE IT ALL TO YOU! (“,) GOD BLESS and MORE POWER! 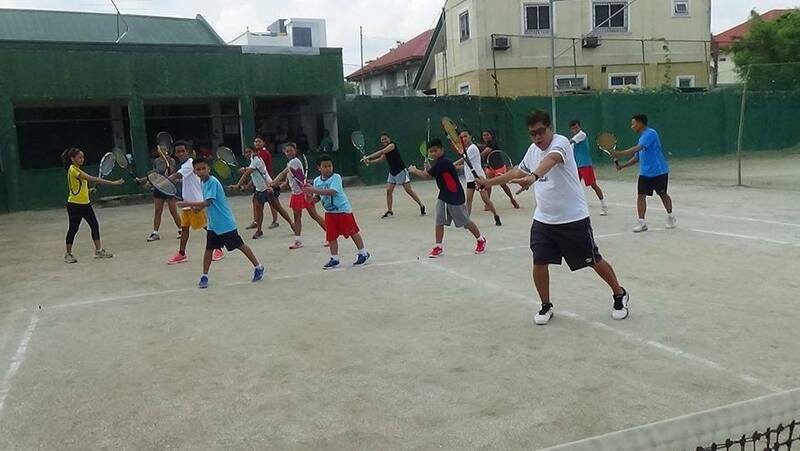 2nd leg of the Alex Marcial / Alex Marcial Tennis Academy (AMTA) Butuan. Introducing the Modern Tennis Methodology. REUNITED to a BELOVED NEPHEW and his family in Butuan City, named Omar Marcial Mascardo. (my Kababata!) 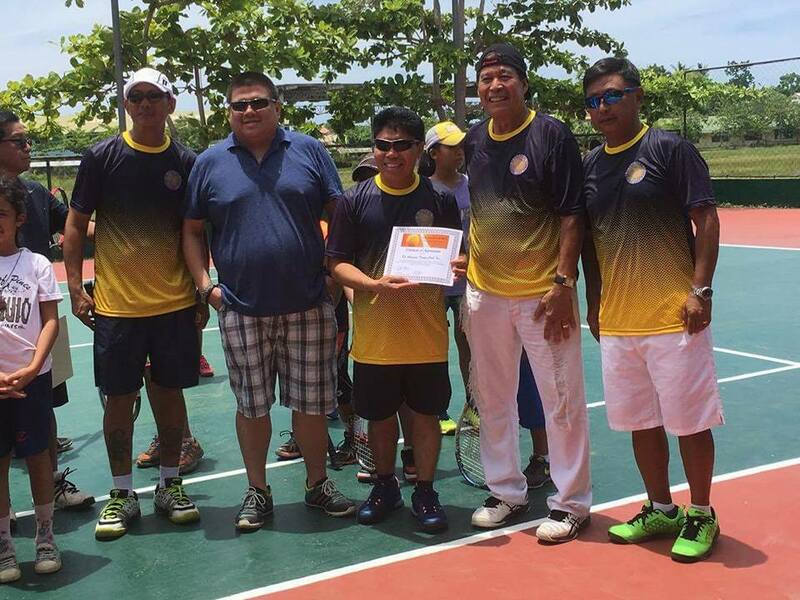 Right on schedule for the Visayas area BUTUAN TENNIS CLUB. Fun-filled activities, Coaching Techniques, Seminars, Modern Tennis Drills etc. 3rd Leg of the Alex Marcial / Alex Marcial Philippine Tour 2017 Cantilan Surigao Del Sur. Introducing Modern Tennis Methodology (MTM) through the effort of the Alex Marcial Tennis Academy and the Whole Team. Teaching and Inspiring kids of all ages made this dream come true of having a FOUNDATION(AMTA) that provides a yearly Free Tennis Clinic and Tennis Equipment to the Less Fortunate Children in our country. To keep them away from bad vices and to make them realize that the sport of tennis can be very useful for Free Education. Benny P. Viloria-Associate Pro, Parent Coach. One of the many youngsters and tennis enthusiasts receiving tennis equipment from our friends and brother clubs in the U.S.A.(picture taken in front of my office in Mandaluyong City Philippines). 4th leg of the Alex Marcial / Alex Marcial Philippine Tour 2017 held in Cebu. Introducing the Modern Tennis Methodology. Certification and Graduation rights for Coaches held at Citigreen Tennis Club, Resort Cebu City Philippines. 5th leg of the Alex Marcial / Alex Marcial Philippine tour 2017 in Kalibo Aklan. Introducing the Modern Tennis Methodology (MTM). ALEX Marcial Tennis Academy (AMTA) showing these youngsters the proper way to play tennis. With tennis associates coach Ronald Martin, Warren Palafox and Ruben Marcial. 7th leg The last encanto at the beautiful city of ILOILO and home of chicken INATO owned by Boying & Regina Bejar’s authentic marinade, Iloilo City, thanks to Mayor & Vice Mayor especially to Jojo Castro, Angel Gella, Fred Jalbuena, Team manager training pool of city of Iloilo and Rafa Santiago, coach of city of Iloilo training team, batang pinoy, who facilitated this noble event for the children! Congratulations to the 17 coaches who passed the exam and received an introduction to MTM certificate AND QUALIFIED TO BE A MEMBER OF MTMCA! Elite training pool of the city of Iloilo learned the new approach of MTM, the NATURAL, it’s SIMPLICITY, the instinctive reaction inside the court, the most critical and divided into 4 different parts to create a point and win a match! The component of modern FH, the LEL (Load, Explode & Land) The ANGULAR momentum, the interpretation of open stance FH & BH! the diff kinds of take back, the pronation and the open palm, application of the KINETIC chain! How to perform the RITUAL in serving! Once again, we would like to thank all the less fortunate kids and tennis enthusiasts of all ages for participating, Coaches, Trainers, Tennis clubs in the country and in the U.S.A. who made all these possible! MABUHAY ang mga TENNISTANG FILIPINO!